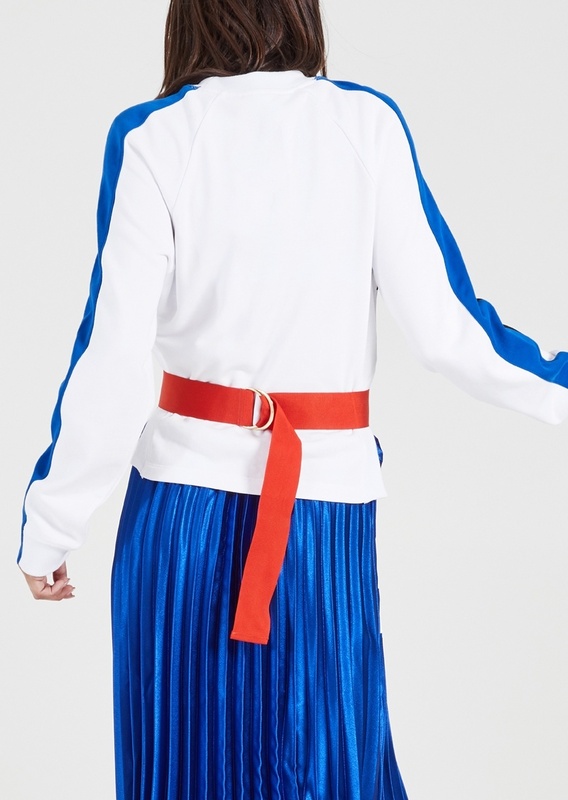 The Bicentary Sweat is a super cool layering piece for the maximalists. 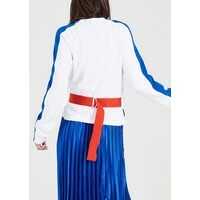 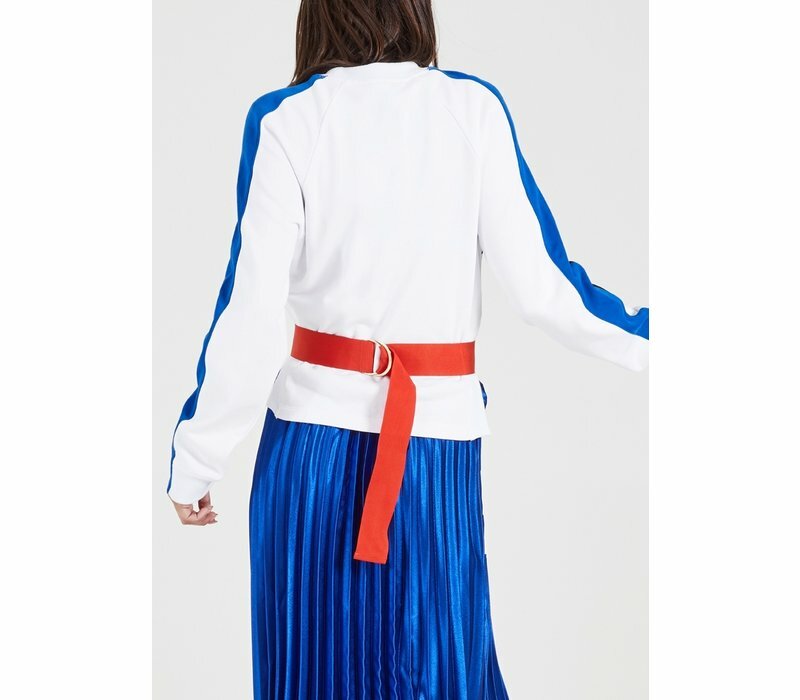 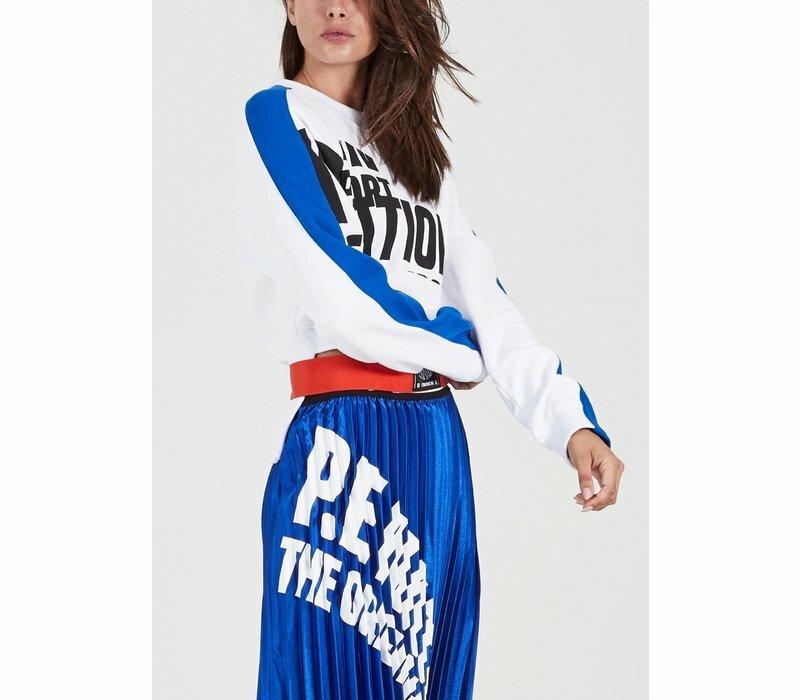 Featuring premium detailing from the angled cropped hemline with an attached striking red belt, to the custom P.E sports patch that adds an extra element of sports-luxe. 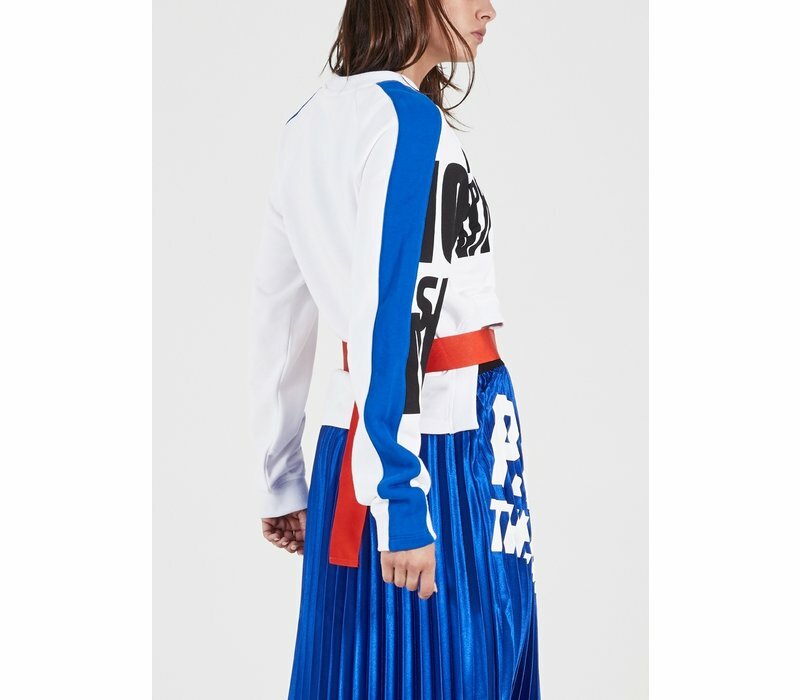 Designed with blue paneled sleeves and a bold asymmetrical print through the front, this sweat is bound to turn heads on the street. 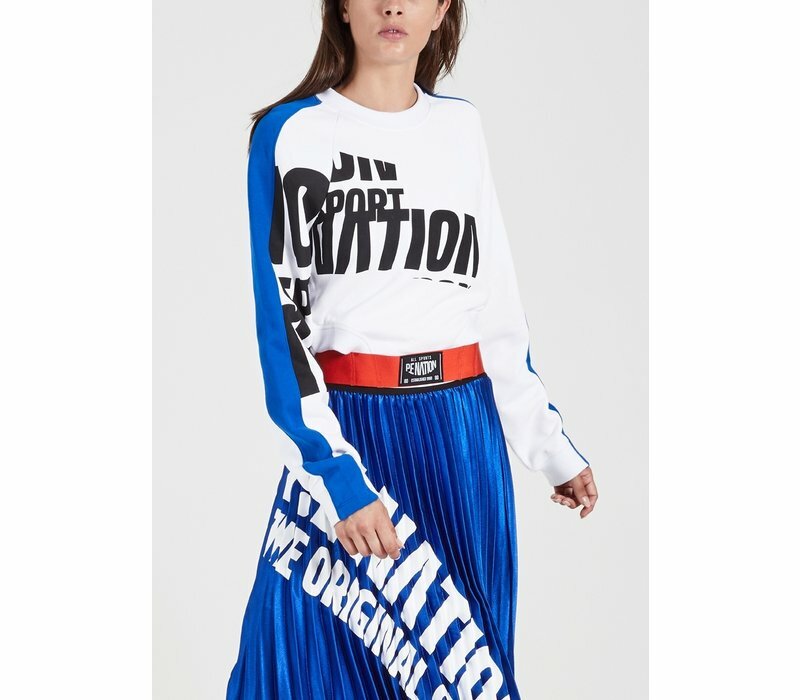 For a high-fashion look, wear with the Rerun Skirt and a pair of sneakers.